I would like to spread all mods, addons and single player maps for all RTCW websites, but my time is short and I think the ModDB site with a lot of details for uploads. I would like to find someone with time to copy all data from RTCW/Gamebanana to ModDB site, since the site RTCW/Gamebanana is complete, including all data(Screenshots, readme.txt files. etc...) updated, patched and revised. Good reason, but ModDB is the top watched hosting of this kind of content. For me it's the prime priority. Glad the RtCW content is not wasted with Filfefront website. I'll try to help you with it, when you'll be free for ModDB. I would gladly help with transferring Gamebanana files to Mod DB, but unfortunately I don't have the time for such a big task. 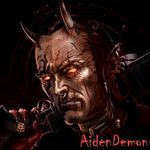 Aidendemon, if you plan to help Vicpas with this task, then good luck. I agree with your opinion on Filefront, and it's mostly dead now. All links (callofduty.filefront.com, medalofhonor.filefront.com, returntocastlewolfenstein.filefront.com, etc...) are now dead. I also want to see more of Project X. You have some mapping talent that needs utilized, Eugeny. had much pleasure with Project 51 of Privateer & BBald as well vicpas own level packs too, with the first took 10 hours tops to complete. I would great any idea if solo mappers did collaborated on multi-level campaigns and I know it takes hundreds man hours to assemble the thing, unlikely happen. Sad news, Eugeny. I thought that you were still working on the project slowly. If you really give up, I hope you do not discard all your work so far and rather make it available on the web, as Wolfman did and maybe someone will come to finish it. I also hope that he finishes, because this work created many expectative between RTCW's fans. I see this fact seeing many views on forums. Nice video, Eugeny. I hope that you will change your mind some day, and resume working on Project X.